Texas Hold’em continues to explode in popularity around the world. 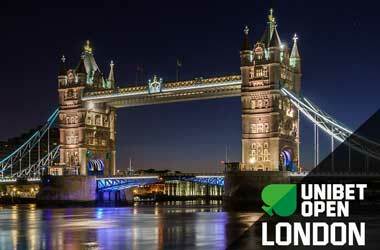 Card rooms in every country and city, as well as online poker rooms, are crowded with players trying their best to become the next big winner. Texas Hold’em is not only challenging, lucrative, and fun, but also presents the opportunity for an average Joe to ascent through the ranks and compete against the best in the world. There are two main reasons for the incredible boost in popularity over the past two decades, and we’ll explain both in detail. 1. How popular is the game of Texas Hold’em? 2. Can I find online poker tournaments? 3. Are their weak players in Texas Hold’em? 4. What stake levels are available in Texas Hold’em? 5. Can I get a bonus when I play Texas Hold’em? 6. Can I play Texas Hold’em for free? The first noteworthy change over the past two decades was the introduction of the internet and the rise of online poker. New players can now practice and study the game, as well as their skills, without having to leave the comfort of their own homes. The rise of online poker also allowed players to enjoy multiple poker games at once where they could gain experience and far more practice in much shorter periods of time. A typical land-based poker game will play an average of 20 hands every hour, whereas online poker tables can sometimes reach 100 hands every hour. If you multiply this by using several poker tables at once, you can understand how much quicker you can gain experience. This ultimately leads to more players testing their luck and land-based players getting more involved with the game. The second noteworthy change over the past two decades is the rise in advertising of poker by media outlets and television. Poker professionals are now considered high rollers and celebrities, leading to loads of people wanting to try their luck and climb the ranks themselves to become one of the big guns. Media and television have also proved how much money can be made by simply playing poker, and therefore it’s easy to understand why viewers find it so appealing. Poker has always had minimal barriers of entry, even at the highest level. If you’re an American football fan, the highest level in American football is the Super Bowl. Can you play in the Super Bowl? No. In poker, the highest level is the World Series. Can you play in the World Series of Poker? Yes. Anyone with enough cash can enter the main event. That means anyone will stand a chance to go against the best in the world, and if they win, they will be crowned a champion. Texas Hold’em is played with 2 to 10 players, and each of them will get a stack of chips that will represent different values. Once the chips have been distributed, each player will get one card to determine who will start with the dealer button. The player with the highest card value will be considered the dealer. Texas Hold’em is played with a rotating dealer, which means each player will act as the dealer for only one hand. Once the hand is completed, the dealer button will move to the next player on the left. Once the dealer has been determined, you can put out the blinds. In Texas Hold’em there are two blinds, a small blind and a big blind. The player situated to the left of the dealer button will be small blind, and the player to the left of the small blind will be big blind. The blinds will indicate the size of the stakes during gameplay and are usually 100 times the size of the big blind. If players want to buy-in for $20, the blinds should be $0.10/$0.25. The player dealing the cards will deal to the left of the dealer button first and rotate around the table, giving each player one card every time until every player has two cards. The two cards are known as hole cards. Fold – A player will contribute nothing to the pot and will also throw away their hand. Once a player folds, he is out of the hand and will wait for the next game to be dealt. Call – A player will match the big blind amount to stay in the game. Raise – A player will raise the bet by doubling the big blind amount. They can also raise more depending on the betting styled being used. A betting round will end once two conditions have been met: Every player has made their decisions to either fold, call, or raise, and all players who haven’t decided to fold have bet the same amount. After the preflop betting round, the flop is dealt. The top card of the deck is dealt face down on the table, known as the burn card, followed by three cards being dealt face-up on the table. Once the flop is dealt, the initial post-flop betting round will start. The post-flop rules are the same as the preflop with two exceptions: The player on the left of the dealer will act first, and the first player can either check or bet, as no bets have been made, and therefore calling is free. Betting on the flop is the big blind amount. Once the flop betting round is completed, the dealer will deal one more card facedown and another single card face-up, known as ‘burn and turn’. The third betting round will start after the turn has been dealt. This betting round will be the same as the flop betting round but with one small exception: The bet size for this round, and the final round will be doubled. If there is still more than one player left on the table, the river will be dealt. The river is dealt in the same way as the turn is dealt, with one card facedown and another single card face-up. No additional cards will be dealt in the final street, and the betting round is the same as that of the turn. The player who made a bet on the river is by default the player who needs to reveal his hand first. If no additional bets were made on the river, as everyone checked, the player closest to the left of the dealer button will reveal their hand first. Should a player hold a losing hand, they can decide if they want to show their cards or muck. Texas Hold’em is extremely popular. Thanks to exposure on television, movies, and popular culture in general, the game has quickly become the most popular poker variant in the world. Massive numbers are drawn to cash games, as well as live tournaments every day, and more online players are being introduced to the game online. Definitely. 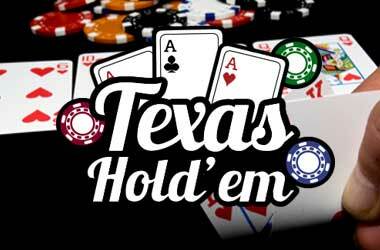 Several poker sites offer Texas Hold’em tournaments where players can play for real money. 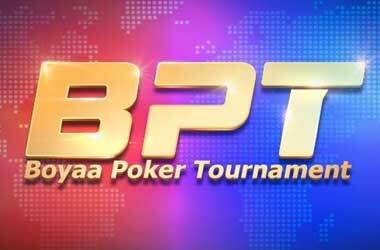 Some of those tournaments are even satellite events that can lead to a seat at a land-based Texas Hold’em tournament. Yes. Due to the popularity around Texas Hold’em, novice and experienced players are always trying their luck at Texas Hold’em, especially when you play at micro-stakes tables. Texas Hold’em is also the easiest to learn from all other poker variants, so there will always be plenty of fish to take advantage of. The lowest stakes in Texas Hold’em are usually $0.01/$0.02. However, these stakes can also increase to around $100/$200 with everything in between also being available. It will greatly depend on the poker site, but there will always be a vast range of different cash tables with a range of different table stakes. Yes, you can. All popular poker sites will offer newly registered players a special bonus or promotion. 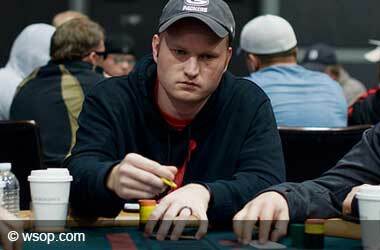 The playthrough requirements are eventually met the more cash games you play by accumulating rake. Yes. Most online poker sites will offer the chance to play with fun money where you can first test your skills and learn the game before heading over to the cash tables to play for real money.